Saskatchewan Government Insurance, a government-founded, nonprofit auto insurance program, will allow Canadian collision repairers in the province to estimate damage for claims themselves. Drivers had been required to visit a SGI claims center for an estimate before the actual collision repair could be done at an auto body shop. Twenty collision repairers have been cleared to do the estimates already (Search shops here. ), and the insurer anticipates the majority of the body shops will have qualified for the program by the end of the year. 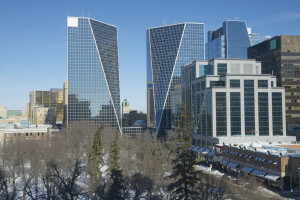 The Regina Leader-Post reported Thursday that SGI will continue to handle estimates for more extensive damage. Shops will have to train annually to ensure they stay current with estimate methodology, their estimates will be audited, and SGI will check up on the shop further with an annual visit. For customers, the process should remain about the same aside from the added efficiency. The insurer will ask whom the policyholder wants to do the repair, and SGI will report whether that shop has been cleared to estimate the claim as well. CBC News reported Wednesday that a customer who wanted work done at a shop out of the estimating network could still do so by having the estimate done at a traditional SGI claims center. The Saskatchewan Automobile Dealers Association told the Leader-Post it can take a week for one of the province’s drivers to get in to an SGI claims center for an estimate.